Although, my family and I visit the dentist regularly I find to cut the cost of our dental bills it is important that we pay closer attention to how we take care of our teeth on a daily basis. 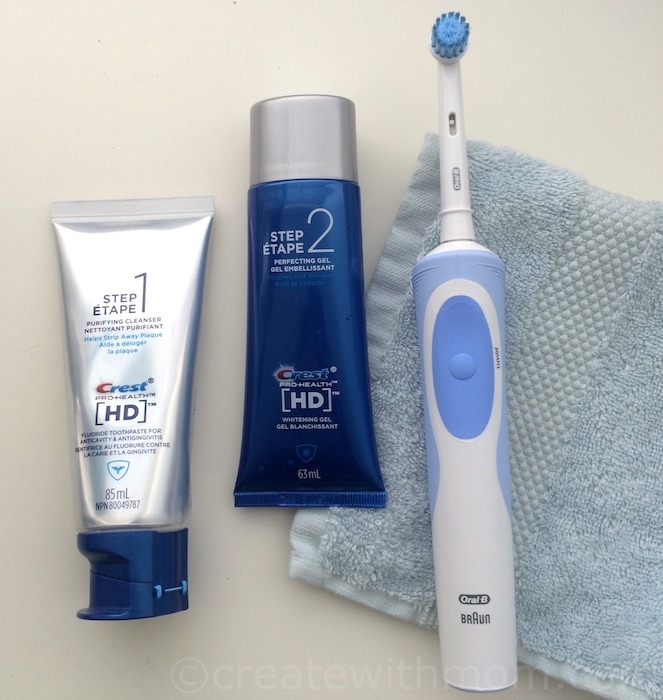 My husband and I have been using Crest Pro-Health HD twice-a-day for a while, and we can feel a difference in how our teeth feels when we use this system. Using this product does require a slight change in our brushing habits because it requires us to do two steps when we brush. The reason this product requires us to do two-steps in our brushing because the key ingredients in the toothpaste are isolated, so they have a better chance to perform at their peak. The first step of this fluoride toothpaste, used for one minute of brushing, is an anti-plaque and anti-gingivitis paste. This helps improve gum health by treating gingivitis, prevent cavities, and protect the enamel against irreversible acid erosion. The second step, used during the second minute of brushing, is a whitening gel. I feel since I started this two-step process of brushing using the Crest Pro-Health HD I am paying more attention to my teeth and oral health compared to when I use regular toothpaste. This system provides a new oral health experience for us. 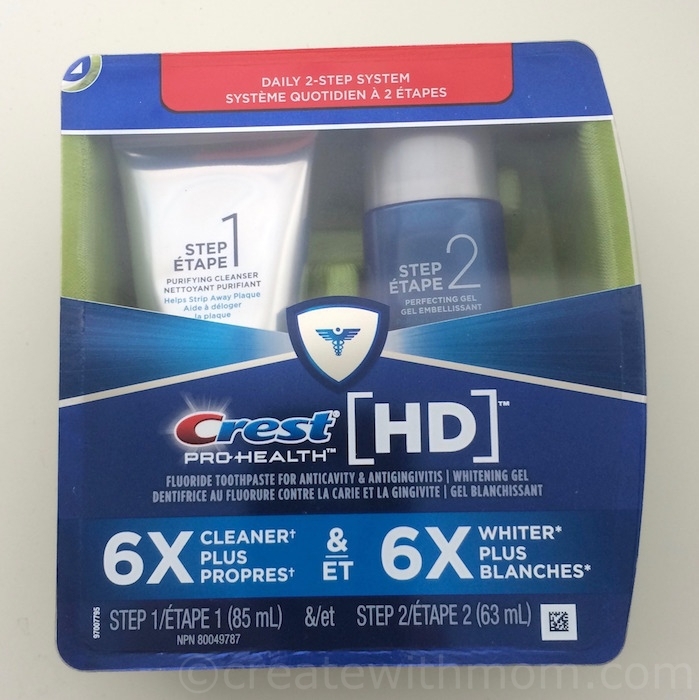 I find Crest Pro-Health HD helps us maintain a healthy and whiter smile because it is formulated for deep cleaning and advanced whitening. When I smile, I feel more confident when my teeth look and feel healthy, clean, and white. I feel this toothpaste helps me maintain my teeth in-between my visits to the dentist. We have to brush for 1 minute using the Step 1 fluoride toothpaste. Then spit out, but DO NOT RINSE our mouth; this is important. 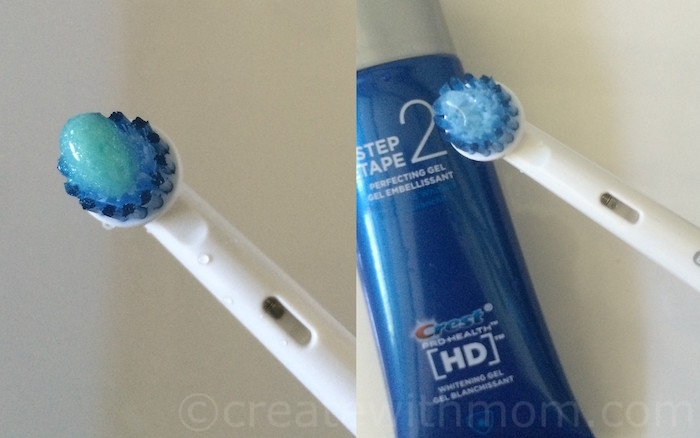 Then place the Step 2 whitening gel on the brush and brush for 1 minute. Rinse well. This product is meant only for those 12 years and older, and not for young children. 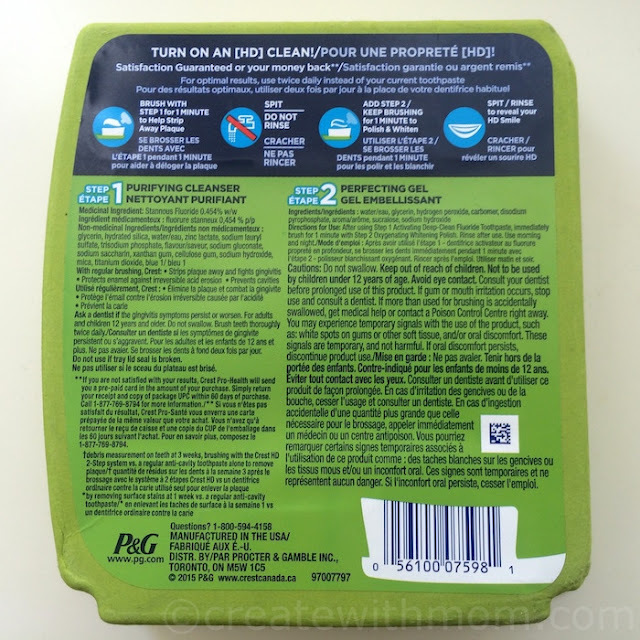 It is widely available in stores across Canada. will have to try this new system as i like to have a whiter smile! I've never heard of this product before until now! Not sure how good I would be at adding a 2 step process to my routine, but it'd be worth a try for the results! would love to try this! thank you for the review! I haven't seen this product before. I think I may want to give this a try.